Find the equation of a straight line which has Slope -5/4 and passing through the point (–1, 2). You are downloading a song. The percent y (in decimal form) of mega bytes remaining to get downloaded in x seconds is given by y = −0.1x +1. (iv) after how many seconds the song will be downloaded completely? Hence the size of song to be downloaded is 1 MB. Hence after 2.5 seconds 75% of the song gets downloaded. 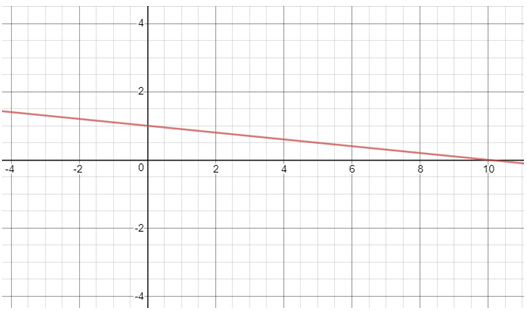 Find the equation of a line whose intercepts on the x and y axes are given below. After having gone through the stuff given above, we hope that the students would have understood, "Practice Problems of Finding Equation of the Line". Apart from the stuff given in this section "Practice Problems of Finding Equation of the Line", if you need any other stuff in math, please use our google custom search here.